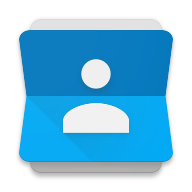 The updated contacts app in Android M has a nifty little trick up its sleeve. You can select multiple contacts from the main list to merge, delete, or share all at once. You would think this feature already existed somewhere in the stock app, but apparently not. On Lollipop and earlier you can only access these features from individual contact listings, and even then the functionality is mostly hidden in the overflow menu. 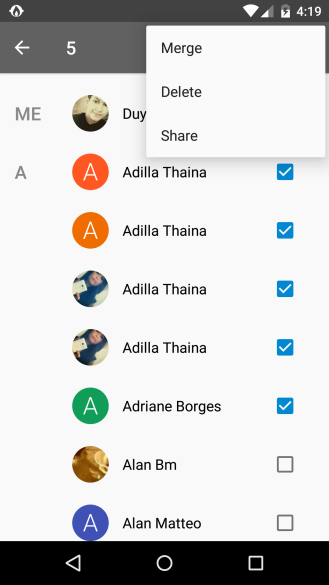 With Android M, you can long-press on any contact to select it, then use the checkboxes that appear to go through and choose additional contacts. The overflow menu in multi-select mode has the options for merge, delete, and share. The app will ask for confirmation before modifying multiple contacts. Still faster than the old way, though. I tested contact merging to see if the app is actually merging them on the server side, but it doesn't seem so. This might just be a local display merge, or the preview could simply be wonky.